With the cost of education rising at an uprecedented rate, many students have become dissuaded from pursuing a higher education. As business representatives, we must remain committed to the growth and future of our community. Students are an essential part of our Bothell and Kenmore community and with proper encouragement, guidance, and education, they will become active contributors to the future. 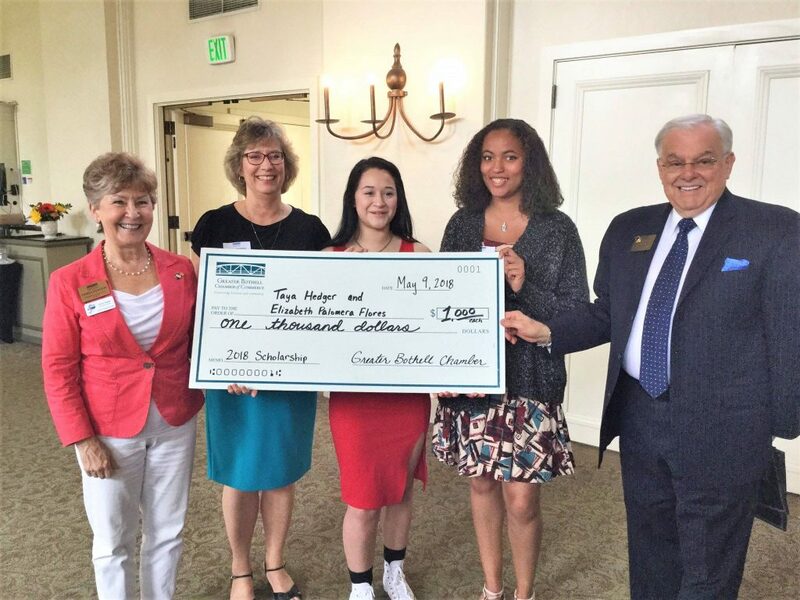 Congratulations to the Chamber’s 2018 Scholarship winners Taya Hedger and Elizabeth Palomera Flores. Each student received $1000 towards their higher education goals. You are helping a student achieve their educational goals and dreams when you generously donate to the Chamber Student Scholarship Fund. Most students cannot afford the cost of higher education without assistance, and a 2- or 4-year degree is important for a higher wage and job security throughout their lifetime. Help a student achieve a higher education today! A student is grateful for you! Bothell Kenmore Chamber of Commerce (BKCC) is a IRC 501(c)(6) tax-exempt organization. Contributions to BKCC are not eligible to be deducted as charitable contributions under IRC501 (c)(3) for federal income tax purposes. Please consult your tax advisor. Gloria M. Davis began this Scholarship Fund in 2008. Her heartfelt vision was to provide scholarship funds to those students who have worked hard and would like to further their education. 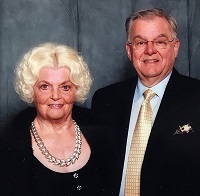 Mrs. Davis passed away in 2009, but the scholarship, now presented by the Bothell Kenmore Chamber and lead by her son JD Davis, continues in her memory. Shannon Hendricks, Martian Systems Inc.